Visitors on business likely to double their spend if they extend their stay for leisure, finds research by VisitBritain and VisitEngland. The 'Business Events Research; Delegate Spend and Trip Extensions' report found that delegates attending an event in Britain who extended their work trip for leisure purposes would, on average, spend double the amount of money (£1,942) than if they travelled home immediately after the event (£991). The research measured two aspects of business event travel; the amount spent by delegates at business events in Britain and the behaviour of those delegates extending trips for leisure. It also found that international delegates stay considerably longer – on average 3.7 nights – when compared to domestic delegates, who stay an average of one night. International delegates attending events also spend more, partly because registration fees for events were higher. Overseas delegates from outside the EU spent more (£1,748) than those overseas delegates from within the EU (£990), and domestic delegates (£329). Another finding showed that the destination of an event was not a major factor in the delegates’ decision to extend their trip; flight timings, ease of travel and accommodation were considered more important. The research was commissioned and completed by VisitBritain/VisitEngland, with funding from the UK Government’s GREAT Britain campaign and the government-funded Discover England Fund. 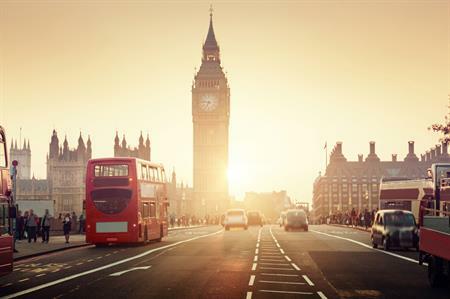 "Britain’s business events sector is going from strength to strength, and this research provides real insight into delegate booking behaviour when attending an event," said Kerrin MacPhie, the VisitBritain/VisitEngland head of business events. "It also highlights key areas where British destinations can support organisers in the early stages of event promotion, including ease of travel and reasons to stay pre- and post-event. "Britain is an attractive destination for planners and delegates alike, from our infrastructure and accessibility, to our ease of access and diverse destination offer, Britain is a great place to hold global events."